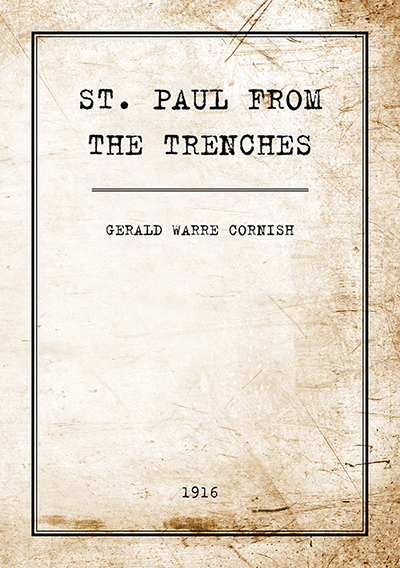 Gerald Warre Cornish was a lecturer in Greek when World War I broke out and he joined the army. 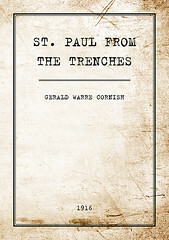 When he was killed in action on September 16, 1916, a small copybook containing this translation was found on his body. 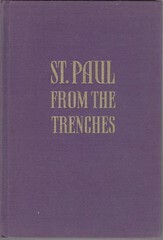 It was first published in 1937 and reprinted several times after that into the late 1940s. 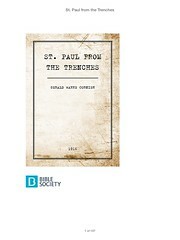 Click here for sample verses from St. Paul From The Trenches. 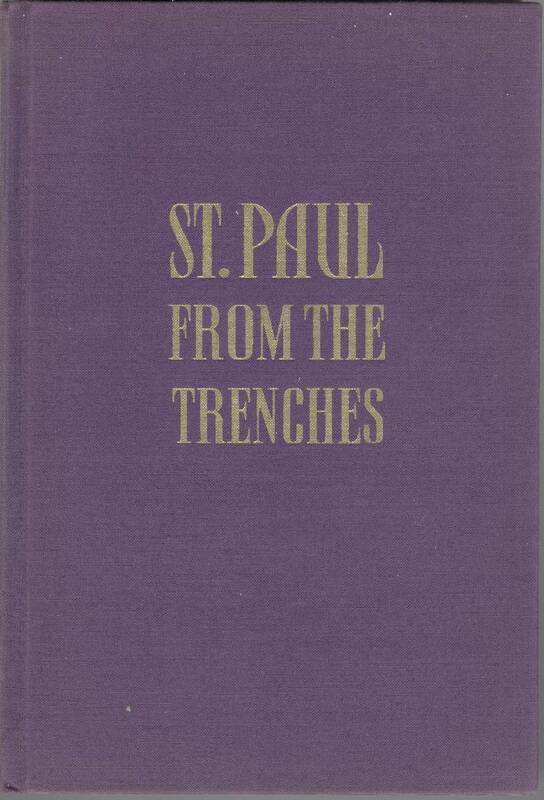 Title: St. Paul From The Trenches A rendering of the Epistles to the Corinthians and Ephesians done in France during the Great War by Gerald Warre Cornish With a Foreword by John Sidney Braithwaite, M.A. 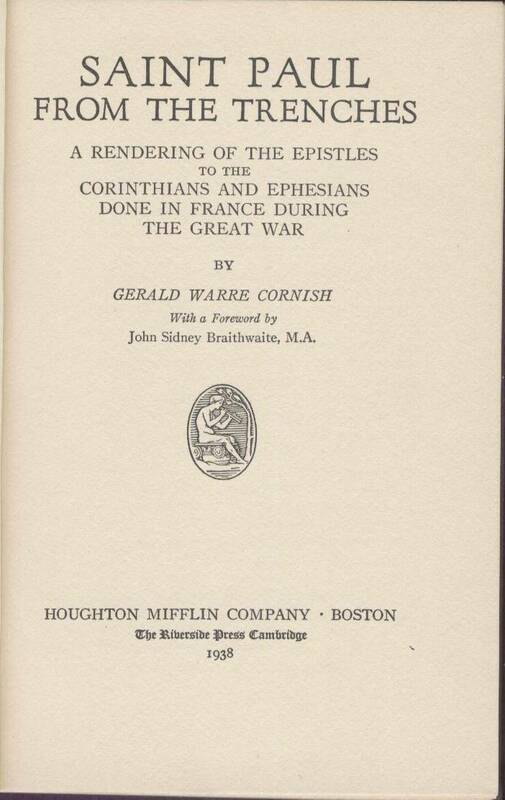 References: Chamberlin 720-6; Herbert see 2267, Taliaferro CN00165, Taliaferro-EELBV NBP-0270. 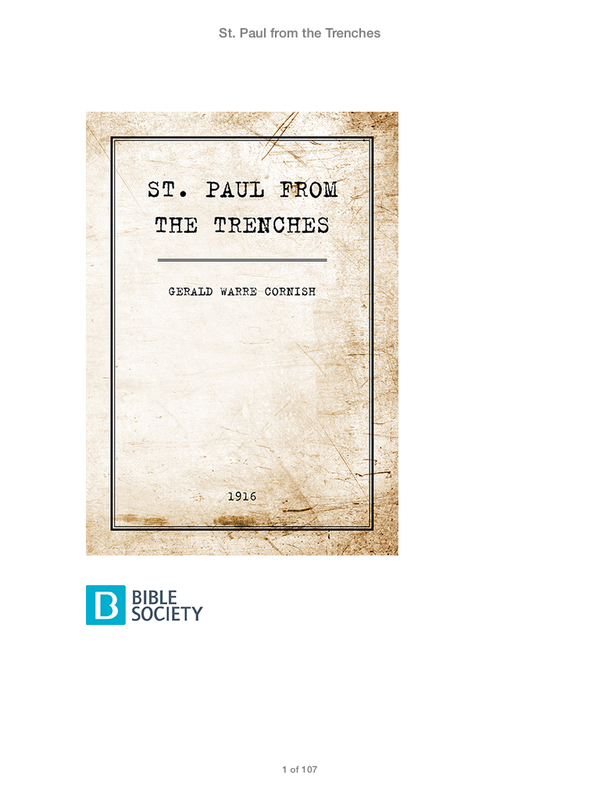 Comments: This edition was digitized, typeset, and released by the Bible Society as a part of commemorations to honor World War I in 2014; it is available for Apple's iBooks application for the Macintosh, iPad, iPhone, and iPod. 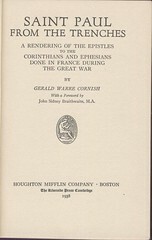 Bible Society executive James Catford penned an introduction for this edition.